I visited Instituto Nacional de Pesquisas da Amazônia (INPA) and had the meeting with colleagues. 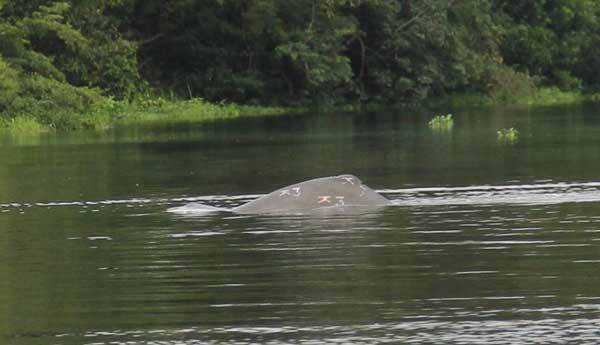 Next I visited Mamirauá Sustainable Development Reserve. In Mamirauá SDR, the clicks and vocalization of free-ranging population of Amazon river dolphins were recorded by the stereo acoustic data loggers which were set at three points. And I conducted census survey and visual observation in the field site. Finally, I visited Punta Arenas, Chile. In Punta Arenas, the clicks of commerson's dolphin were recorded by same system. I succeed to get plenty of data throughout this trip and achieved the objective of this trip. 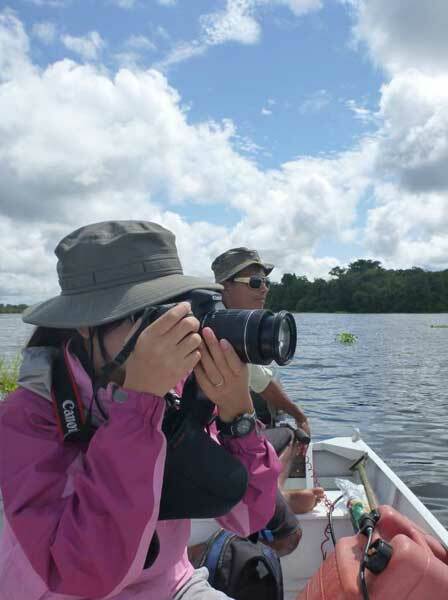 Taking a picture of amazon river dolphin for photo-identification. Amazon river dolphin. This dolphin is branded for the identification.